*Disclosure: This post was created in partnership with Jasco Landscape Lights. All opinions are 100% my own. 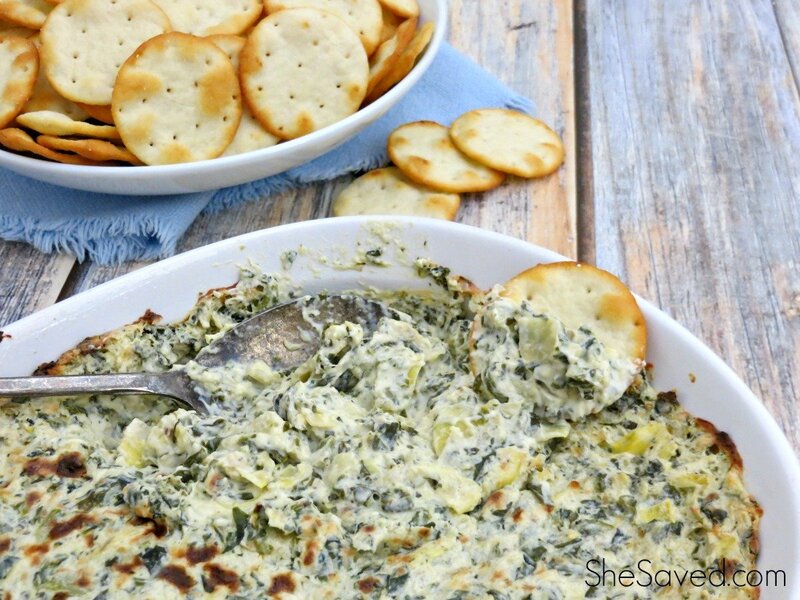 I’m so excited to share this product with you! We LOVE to be outdoors and are in the final phases of our landscaping project, although I say that knowing that these types of products are really never finished, are they? 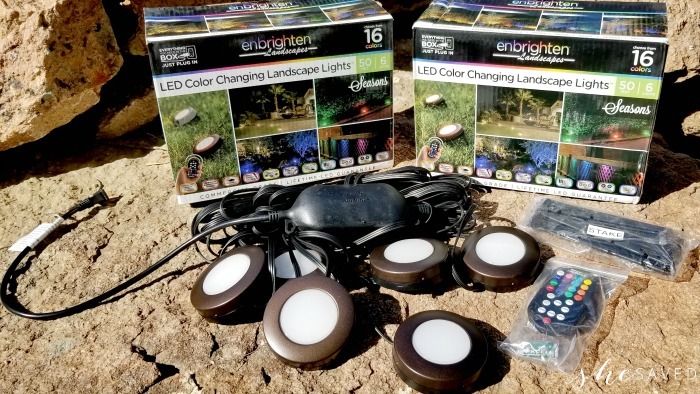 Ours just got a whole lot more exciting thanks to this partnership with Jasco Enbrighten LED Color Changing Landscape Lights. I didn’t know what to expect when I accepted the task of reviewing these lights but I have to say, I’m truly impressed. This is truly a product that anyone can set up and enjoy. Jasco Enbrighten LED Color Changing Landscape Lights are available in 3 different lengths (6 pucks/50 ft, 9 pucks/80 ft., and 12 pucks/110 ft.) All lengths have flexible 10 ft. spacing between lights. The boxes that we reviewed are the 50 ft lengths that include 6 lights (pucks). Right out of the box I immediately noticed how simple this system is and let’s give 3 cheers for simple: cheer, cheer, CHEER! Seriously. Awesome. We laid out the string of pucks where we wanted them and used the stakes to keep them in place, buried the cord with rock and within less than fifteen minutes we had our front area all ready to shine! This entire set up is controlled remotely, which is amazing. This small handheld remote comes WITH batteries (3 cheers again!) 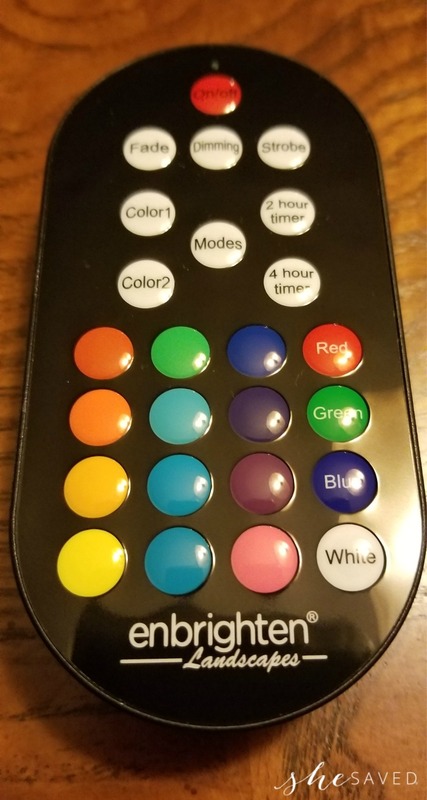 and does a crazy amount of things: dimming, countdown timers, preset holiday themes, effects, change colors (up to 16 single colors, or any two-color combo), and 3 adjustable white light (warm white, soft white, daylight). These light sets are made with premium quality for year-round use and multiple mounting options for up or down lighting for flower beds, gardens, walkways, decks, accent lighting, eaves, indoor, kitchens, holidays, celebrations, and more. These light sets come with a lifetime LED guarantee and are commercial grade. Literally everything you need to make your space colorful and bright all year is included the box, and if you need to add more lights to your decor then just grab another box. 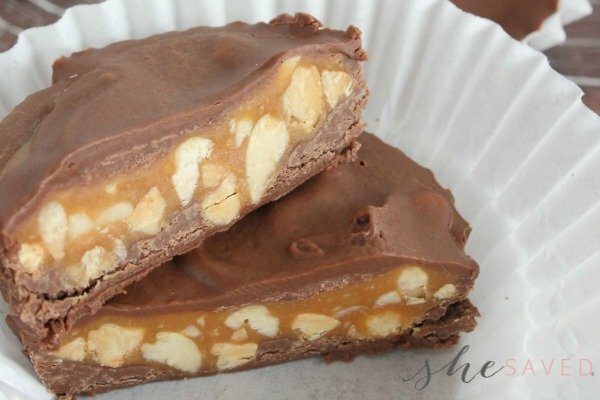 I’m so thrilled with this product. I always worry that products like this will be overwhelming or high maintenance and this lighting set it neither of those things. It’s SO easy to set-up and install and super easy to operate. I love the immediate new look that it gave to our outdoor space and there are so many exciting and endless decor options with these lights! 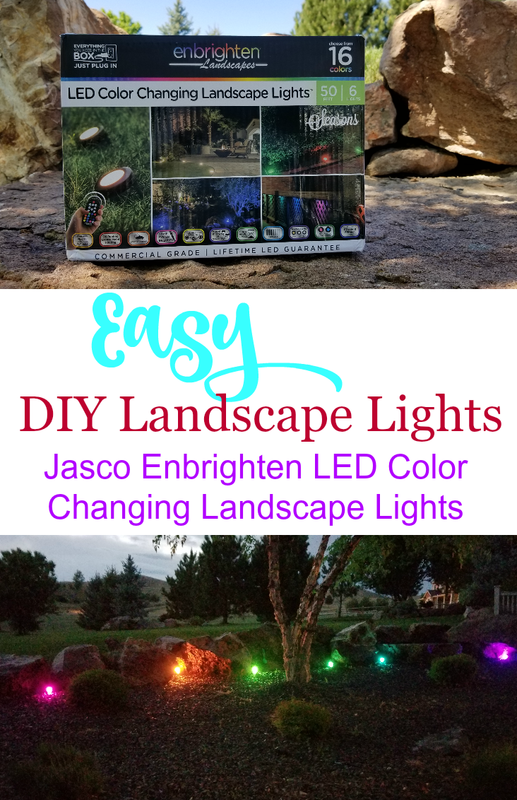 You can find Jasco Enbrighten LED Color Changing Landscape Lights online or in Sam’s Club stores! We bought these and love them, thank you for the idea!